Microbial models are based upon the premise that microorganisms will react reproducibly to their environment, and therefore microbial responses can be predicted given a set of environmental conditions. Although such predictions always come with some degree of uncertainty, they can be useful for food safety assessment and management. There are a variety of predictive microbial models available as desk-top or web-based software programs, which can be utilized by the food industry to gain quick insights into the microbial safety of food products and processes. These tools are called, "tertiary models," and have been constructed by researchers based upon multiple observed patterns of changes of microbial numbers over time and environmental conditions. 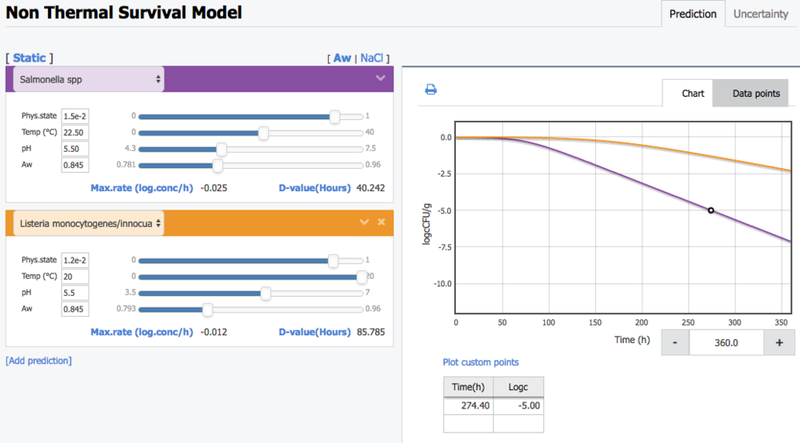 Such models can predict or estimate bacterial transfer, survival, inactivation, and growth. This webcast will demonstrate the use of tertiary models for food safety assessments using a few practical examples.